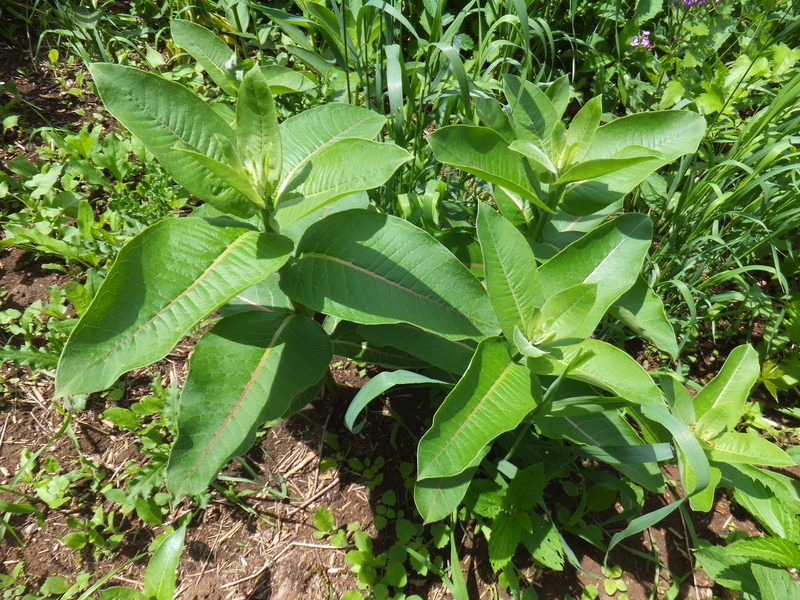 Common Milkweed, Asclepias syriaca. This is the unidentified plant from my last post. It looks quite different denuded of its leaves. This doe was nursing her fawn close enough to the road that I could snap a distant photo. The fawn is just ahead of her. 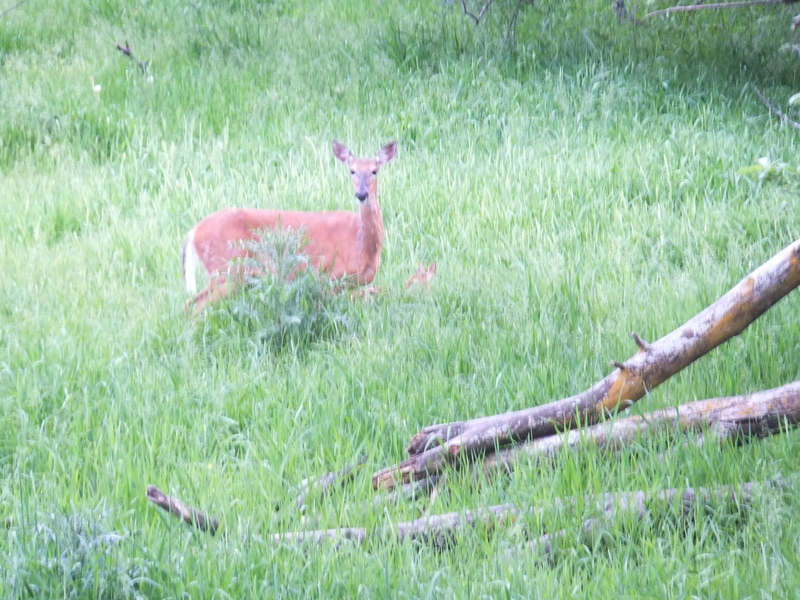 When I stepped out of my truck, the doe ran, but the fawn dropped and froze. So I walked carefully and took this photo a couple of paces away. One more step and the fawn knew she was no longer invisible and jumped up and ran like a deer. This entry was posted on Thursday, June 13th, 2013 at 11:44 am and is filed under Curious nature, Curious weeds, Curious wild food. You can follow any responses to this entry through the RSS 2.0 feed. You can leave a response, or trackback from your own site. 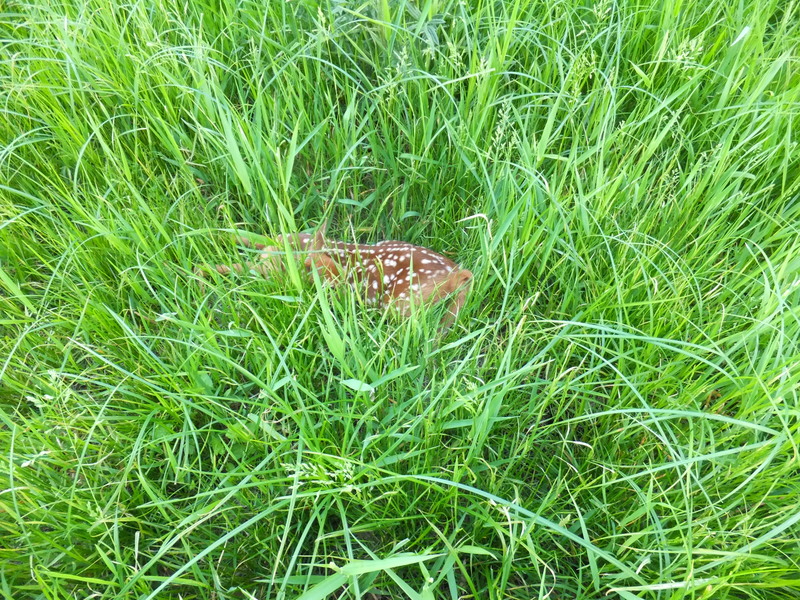 Great fawn photo in the weeds. Fun to hear how you got it, too.